Dr. K.B. Sood, MD Nous Hospital Consultants Pvt. 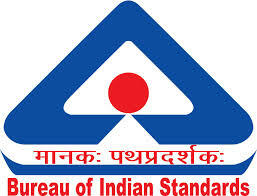 Ltd. have been empanelled with the Bureau of Indian Standards (BIS) – India. The organization was formerly the Indian Standards Institution (ISI), set up under the Resolution of the then Department of Industries and Supplies No. 1 Std. (4)/45, dated 3 September 1946. The ISI was registered under the Societies Registration Act, 1860. As a corporate body, it has 25 members drawn from Central or State Governments, industry, scientific and research institutions, and consumer organizations. Its headquarters are in New Delhi, with regional offices in Kolkata, Chennai, Mumbai, Chandigarh and Delhi and 20 branch offices. It also works as WTO-TBT enquiry point for India. Full Copyright 1996 - 2015 Nous Hospital Consultants Pvt. Ltd.